Alecio quilt set is as simple as it gets, giving you a blank canvas for designing your own sweet retreat. Pile on decorative throw pillows and layer luxury linens to create a look you love. 3-Piece Quilt Set – Includes Quilt and 2 Shams. 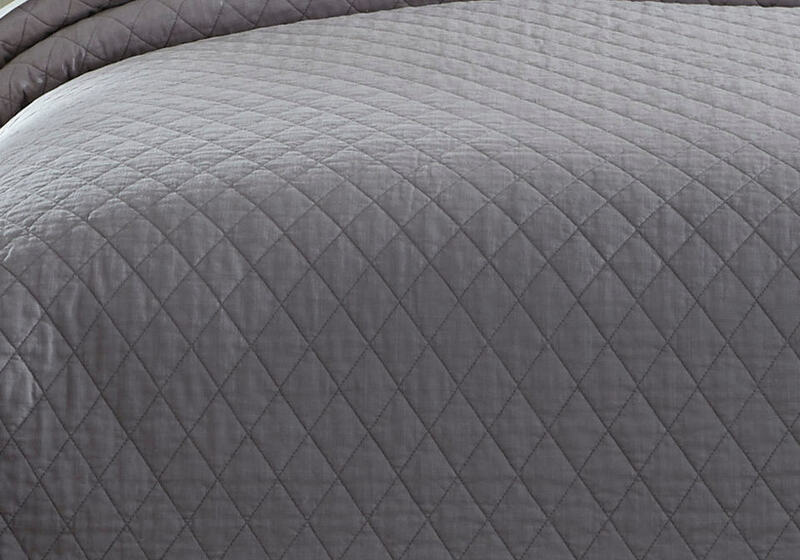 Stone Washed Diamond Quilted Design in Gray. 200 TC. Cotton with Cotton Filling. Machine Wash Gentle.